All Posts Tagged With: "Beverly Hills"
Beverly Hills, CA – February 24, 2011 – Tom Ford announces the opening of the Los Angeles TOM FORD flagship, which will open in Beverly Hills on February 25th, 2011. At 9,200 square feet, this striking new store introduces a new-look environment for TOM FORD, and is the first to feature a dedicated Womenswear floor. Beverly Hills will be the first store to present the TOM FORD WOMENSWEAR collection in its entirety, in a space custom-designed for this purpose. Lately I feel as if I’m digging into the history of Beverly Hills and its world of celebrity beauty and glamour. Few weeks ago I interviewed celebrity hairdresser and image maker Allen Edwards who is famous for creating Farrah Fawcett’s haircut aka The Farrah. Allen also began his career in Beverly Hills. 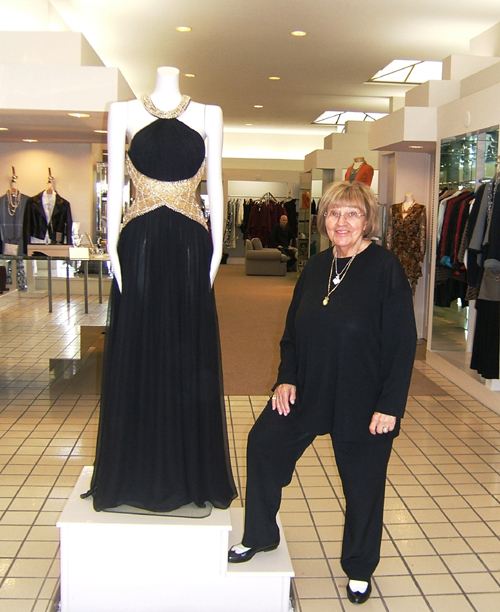 I also got the chance to interview Greta the founder of Beverly Hills’ longest standing boutique GRETA. Located at 141 S. Beverly Drive a very strategic location I must add, the GRETA Boutique attracted many celebrities since 1961. Think: Zsa Zsa Gabor, Barbara Sinatra, and Shirley Fonda just to name a few. In this interview Greta talks to Marta Walsh about her beginnings in fashion and her meeting with fashion designers Jill Sander and Gianni Versace. The celebrities she got to dress over the years and how she manages to honor the history and legacy of GRETA Boutique and also adapting to new times. And of course, future plans. 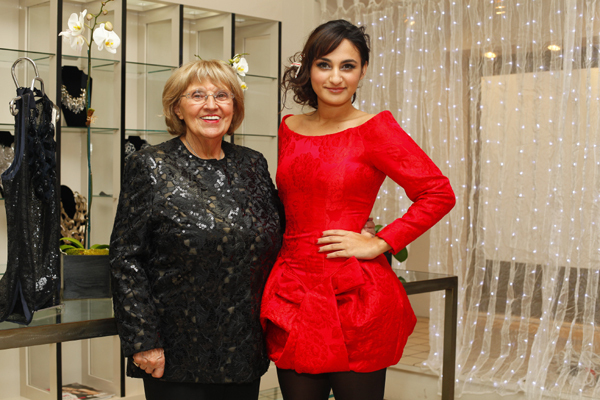 Marta Walsh: Of all the 48 years in business, what were some of the most memorable moments of fashion in your career? Greta: My very first buying trip to Europe was one of my first memories in my career. On this trip I met Jill Sander and Gianni Versace. Gianni was designing for Genny Byblos at the time and I went to his runway show in Milan. The show was so breathtaking that I felt like I was walking on cloud nine for the rest of the day. This is when I knew fashion would be an inspiration on my life forever. Model wearing an outfit by Sachin + Babi Resort 2010 availabe at GRETA Boutique. silhouettes that translate easily from day to night. Spotted on Wednesday evening, November 18, 2009: Miss Teen California Chelsea Gilligan and comedian Judy Tenuta at Beverly Hills’ longest lasting boutique, GRETA. The GRETA boutique presented that evening the Sachin + Babi’s Resort 2010 collection which is available exclusively in Beverly Hills at the fine women’s apparel establishment located at 141 S. Beverly Drive. Several hundred Hollywood stars, fashionistas, philanthropists and civic leaders dropped by Beverly Hills’ longest lasting boutique, GRETA, on Wednesday evening (November 18) from 6 – 9 pm for a first look at Sachin + Babi’s Resort 2010 collection, available exclusively in Beverly Hills at the fine women’s apparel establishment located at 141 S. Beverly Drive. The moment the red carpet rolled out, Beverly Hills Mayor Nancy Krasne proudly presented boutique owner Greta with a special commendation from the BH City Council recognizing the wonderful woman who has stayed in business on South Beverly Drive for 48 years. Michael Papajohn (“Transformers: Revenge of the Fallen”), Chelsea Gilligan (Miss California Teen USA), Jazmin Whitely (MTV’s “House of Jazmin”), Judy Tenuta (star comedienne), Ben Mittleman (“Dying the Live”), Amanda Luttrel Garrigus (E!) 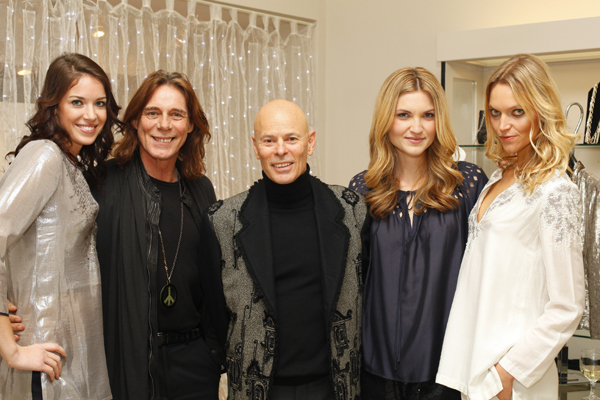 and famed celebrity stylist George Blodwell joined the dozens of long-time Greta clients and friends enjoying fine French and German wines, delectable hors d’oeuvres from Mako and informal modeling by the most gorgeous professionals from LA Models. Greta and Jazmin Whitley of MTV’s House of Jazmin.